We love this idea undertaken by Front Porch Forum members. 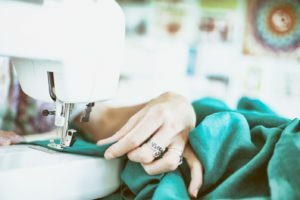 Doing something good for the environment and building social contacts! Post to organize several neighbors to volunteer making repairs. 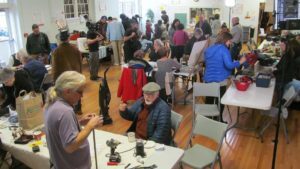 Suggest the idea of a “Repair Cafe” and seek a place to hold the event. Post an announcement two weeks prior to the event to invite neighbors in need of repairs AND to encourage volunteer help. Post a reminder message three days before. Choose the “Event” category so that your posting also shows up in the FPF Community Calendar. Check the share box to include neighboring towns.